As a U.S. immigration lawyer, attorney Franklin Nelson works with immigrant clients from all over the world. 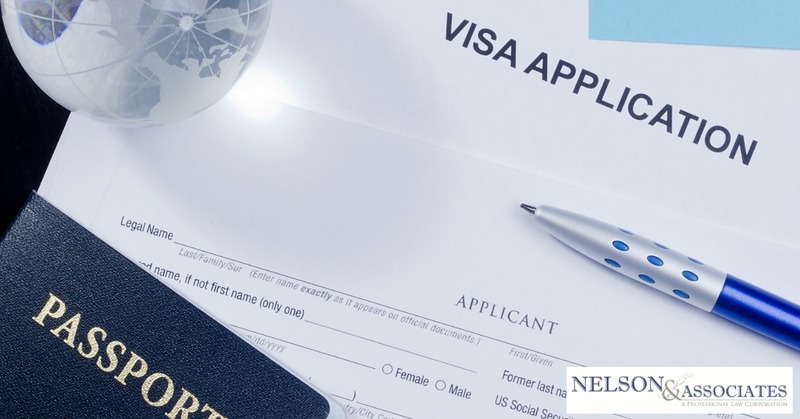 Attorney Nelson’s job consists of not only helping clients to determine the correct path of immigration for them, but it also requires that he have full knowledge of the tools available to his clients through the USCIS website. Today attorney Nelson is sharing some of the more important tools offered by the USCIS website and how they can help you as an immigrant to the United States. One of the first steps that you will need to take when working with the USCIS system is to set up an account with USCIS. Setting up an account is simple and the USCIS site provides easy to follow instructions on how to set up a USCIS account here. To schedule an appointment with the USCIS in regard to your immigration case, you can use the USCIS appointment scheduling tool. It’s important to keep in mind, however, that if you are working with a U.S. immigration lawyer, you should always work with them to arrange or change any appointments with USCIS so that they are fully aware of any upcoming or changed meeting times. Also, note that appointments through the USCIS are ALWAYS FREE! While attorney fees apply to any work your attorney does with you on your case, no one should ever charge you for your appointment with the USCIS and if they try to, you should report them immediately by calling (800) 375-5283! It’s no secret that the immigration system moves slowly and sometimes that means that between the time that you begin working with your U.S. immigration lawyer and the time that your case gets processed can be quite a long time! In fact, you may even have moved during that time and if you have, it’s crucial that you update your USCIS account with your new address. This is particularly important to do because, without your new address on file, the USCIS will have no valid location to send any necessary forms or paperwork to! If you are working with a U.S. immigration lawyer, they will provide you assistance with any USCIS forms that you need to complete for your case. If you are not working with a lawyer, however, it’s important to stay on top of any USCIS forms and deadlines for your case, you can do that by visiting the USCIS immigration forms page on their site. If you are working with an attorney but are also working on your own case and want to submit your own forms online, be sure that you keep your attorney informed EVERY step of the way to avoid any confusion within the immigration system. Whether you are working with an attorney or whether you are submitting your own USCIS immigration forms, the necessary fees for these forms have to be paid. If you have questions about USCIS filing fees or just want to know how much you need to save to file your forms with USCIS you can find the immigration form fee schedule here. Sometimes we all have questions and the USCIS website is a great resource for answering those questions. Perhaps you have a U.S. immigration lawyer and they have explained your options to you, but you have forgotten what they said? Or maybe they explained your options to you but you want more information about the options available to you? Perhaps you’re just trying to do a little research before you visit an attorney to talk about your immigration case? Whatever the reason that you need more information about your immigration options, you can find it on the USCIS immigration options page. If you have already filed your case with USCIS (whether you used an attorney or not) you can check in on your USCIS case status by logging into your USCIS account or submitting your case receipt number. Now, if you are working with an attorney, it’s always best to go directly to them with questions about your case – including the estimated processing time. If you forget what your attorney said to you or if you just want to keep an eye on the processing timeline yourself, you can also check on USCIS processing times on their site. One of the best ways to get recommendations to reputable resources as an immigrant is to ask your attorney, but you can also contact your local embassy who will be more than happy to provide you with a list of reputable resources who can help you with your immigration status. These resources may include anything from doctors and lawyers to local classes to help you to assimilate into a new country and culture. Another way to find out more about reputable resources that are available to you locally as an immigrant is to take a look at the USCIS immigrant resources page on the USCIS website. Looking for a U.S. Immigration Lawyer in or Around Pasadena, California? If you’re in need of a U.S. immigration lawyer in or around the Pasadena, California area, attorney Franklin Nelson can help! Just give his office a call today at 626-683-3451 to make an appointment for a consultation!